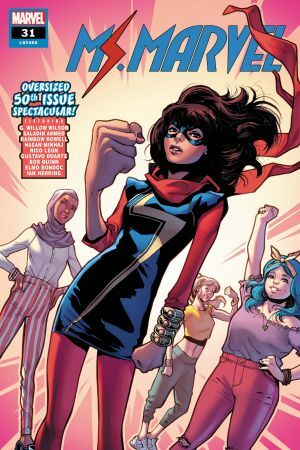 CELEBRATING 50 ISSUES OF KAMALA KHAN! 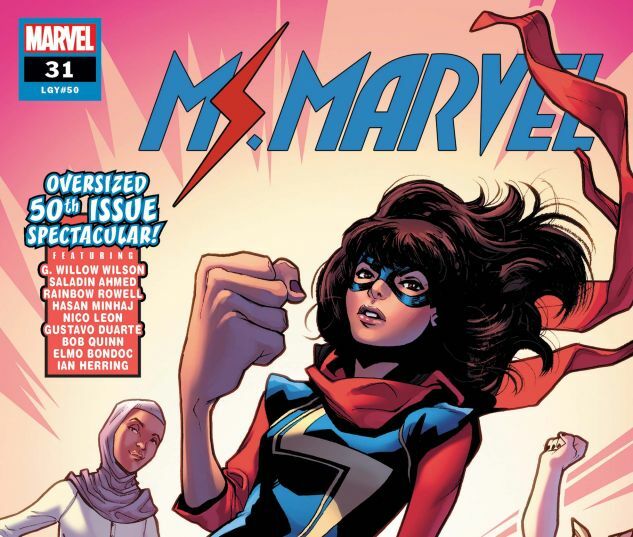 That’s right – we’ve published 50 issues of MS. MARVEL, and we’re celebrating—SLUMBER PARTY STYLE! KAMALA is having a sleepover with her best friends NAKIA, ZOE, and MIKE…but when calamity strikes in Jersey City, how can MS. MARVEL save the day without bailing on her friends? And speaking of friends, top creators SALADIN AHMED, RAINBOW ROWELL, and MORE are joining the party with series regulars G. WILLOW WILSON and NICO LEON to bring you this historic tale! PLUS: a special surprise that’ll rock Kamala’s world! Don’t miss this landmark issue!